Emerald Gardens will set a new benchmark for upmarket, landed properties. 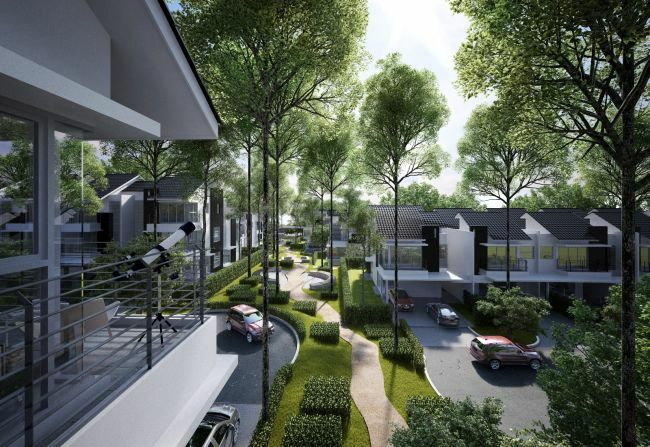 GuocoLand Malaysia has upped the ante with the latest launch of two and 2½-storey superlinked houses in Emerald Rawang, a township in the Northern Corridor of the Klang Valley. The new superlinked houses at Emerald Gardens not only feature a contemporary design but are quite spacious. The latest units will be launched in conjunction with the Emerald Gardens Party at the Emerald sales gallery on June 9. Built with excellent infrastructure, the development enjoys easy accessibility to Kuala Lumpur and the surrounding areas via the North-South Highway, New Klang Valley Expressway and the Guthrie Corridor Expressway. Located within easy reach of Rawang’s commercial centre, Emerald Rawang is only 20 minutes by car from Jalan Duta and the Damansara toll. Rawang has all the essential amenities including post office, banks, restaurants, hypermarkets, wet market and KTM Komuter station. Set within the natural greenery and rolling hills of the 405ha (1,000 acres) township, Emerald Gardens will set a new benchmark for upmarket, landed properties. Offering a total of 161 new units, the tropical garden concept homes come with an option of three designs with wide frontage. Besides landscaped features, the two-storey homes of 26ft by 80ft come with a built-up space that starts from 278sq m (2,990sq ft). The 2½-storey homes come with two layout options of 24ft by 80ft and 26 ft by 80ft and the built-up space is from 333sq m (3,585sq ft). GuocoLand Bhd marketing and sales director Pam Loh said the Emerald Gardens project was designed for today’s discerning consumers and investors, who seek more spacious and versatile homes to meet their lifestyle needs. 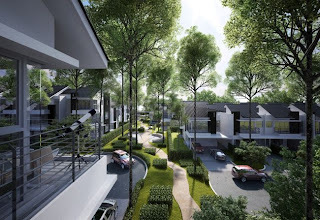 “We have redefined the two key features by offering the biggest superlinked homes with carefully planned layouts in Rawang, and which cater to the different needs of home buyers. “We have received overwhelming response during the pre-launch period. We have sold over 80% of our pre-launch releases. More units will be released on Saturday,” added Loh. Visitors to the Emerald Gardens launch party from 9.30am to 9.30pm on June 9 can look forward to fun and activities, apart from viewing the two Emerald Gardens show units. Highlights of the carnival include helicopter rides, biking, “Shanghai jazz” performance and fireworks display.